It’s fair to say many of us this winter will either be spending time in the garage fettling on our bikes or we’ll be holed up in the lounge. 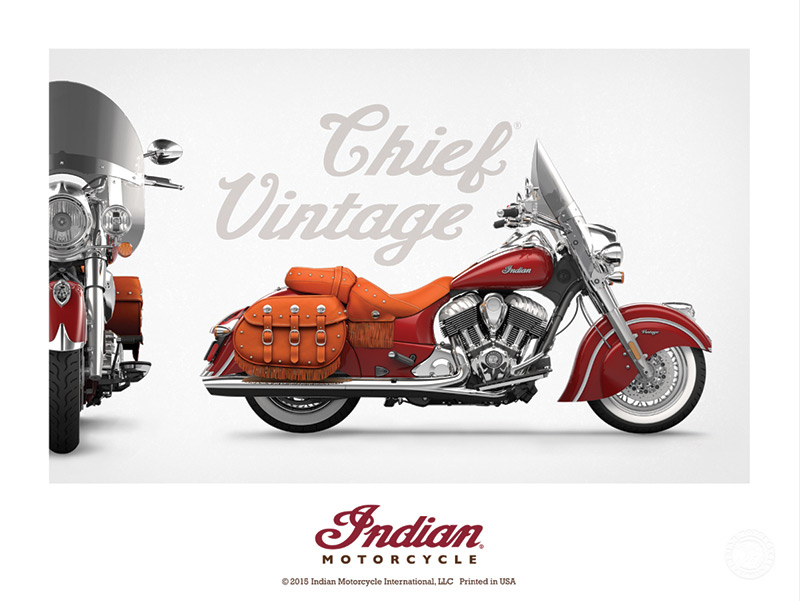 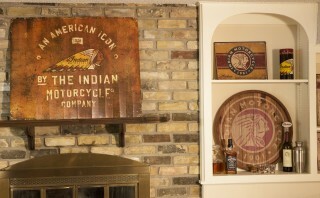 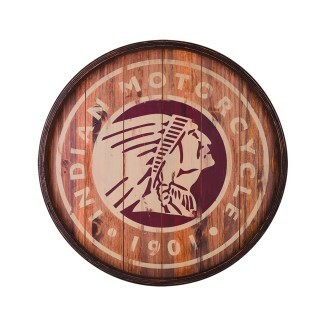 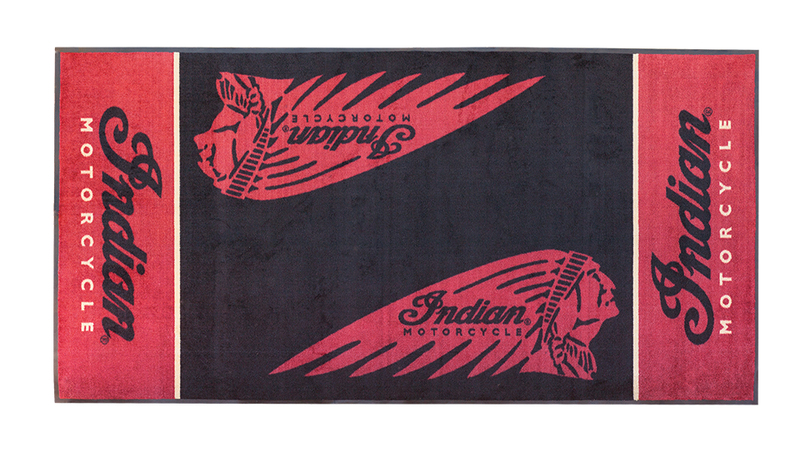 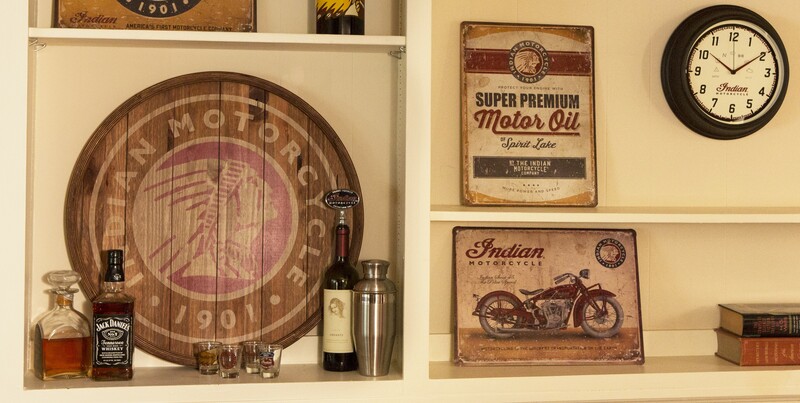 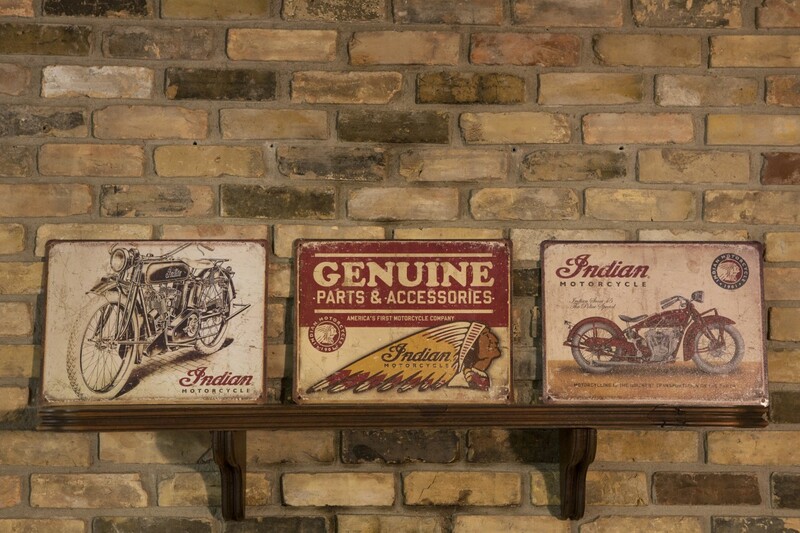 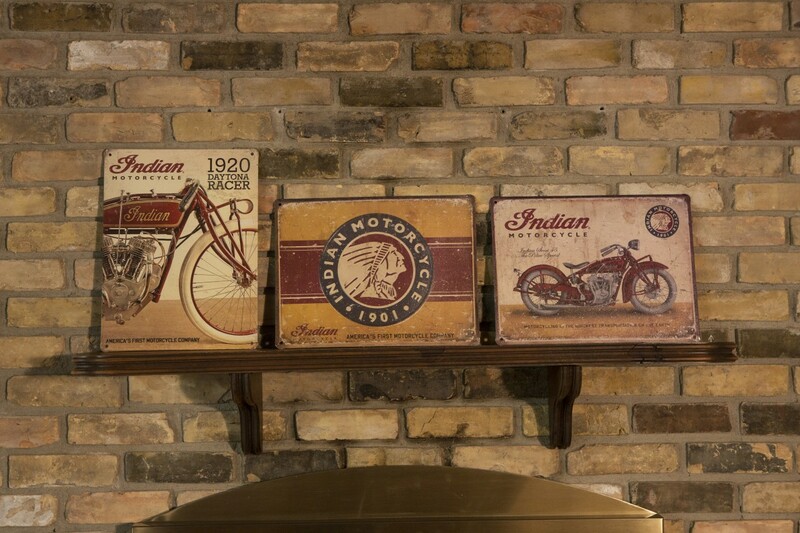 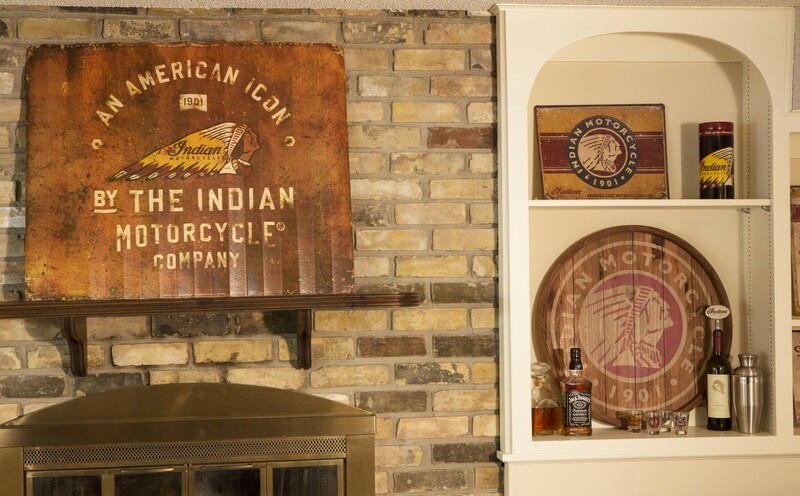 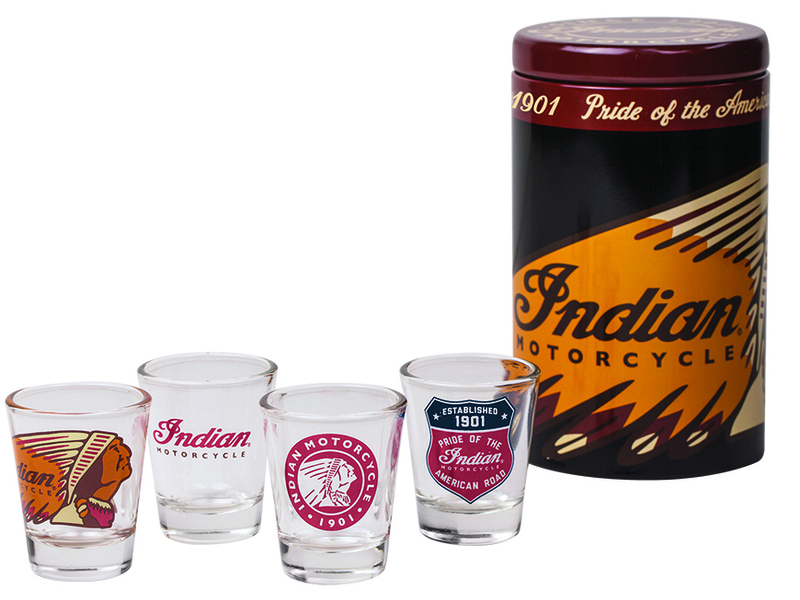 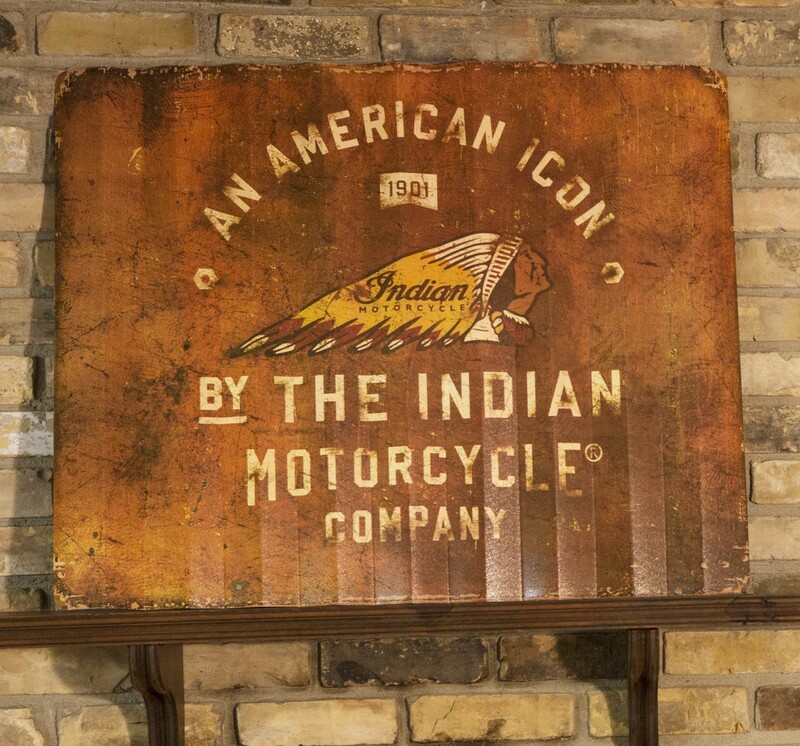 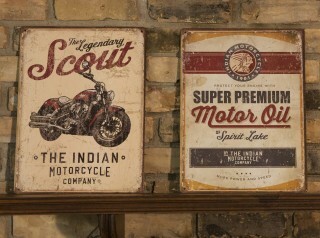 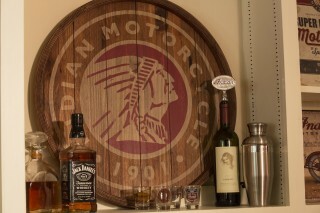 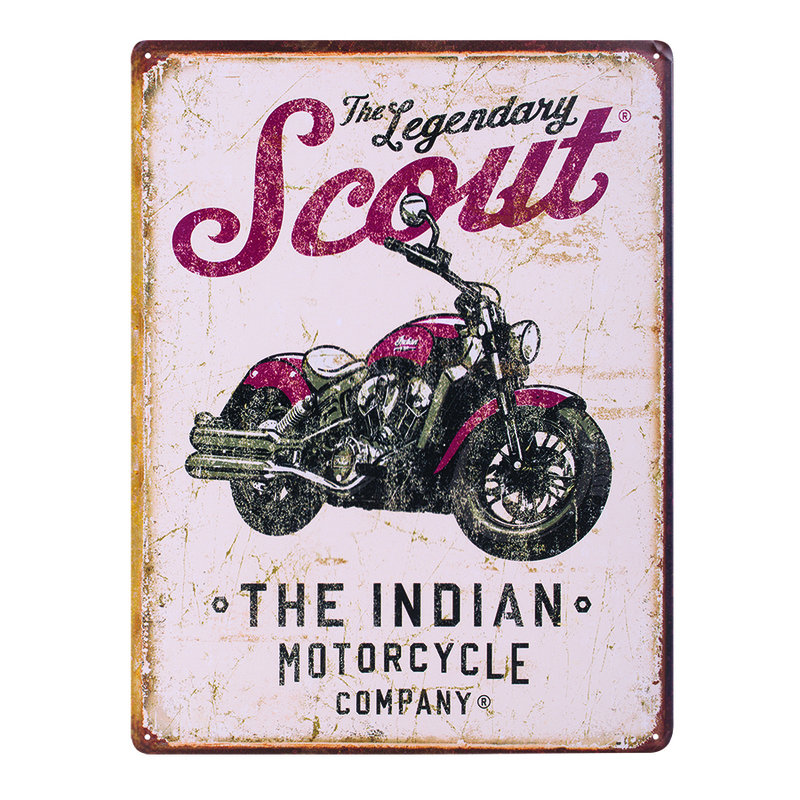 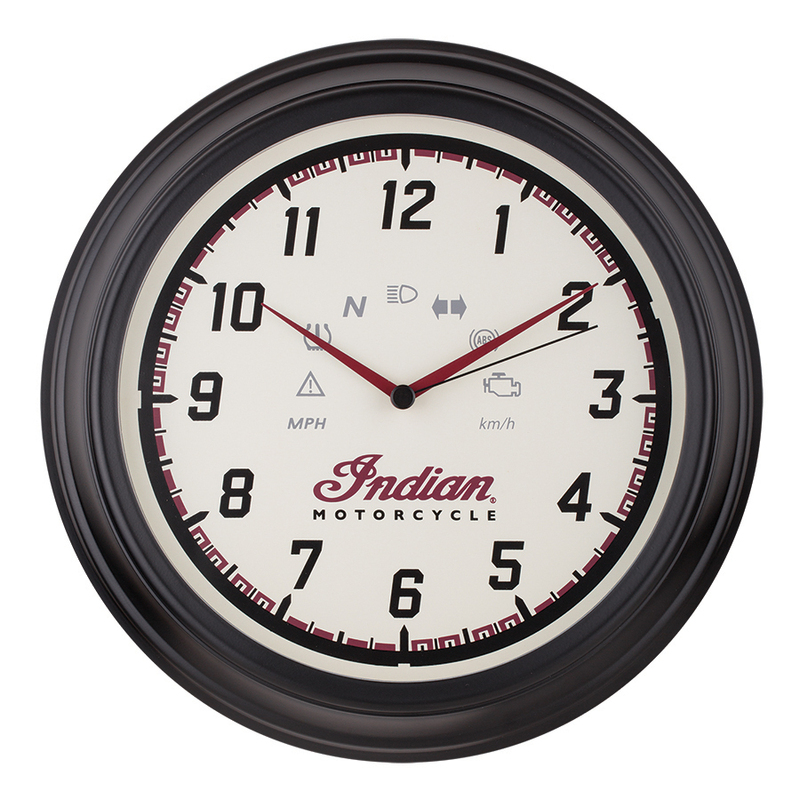 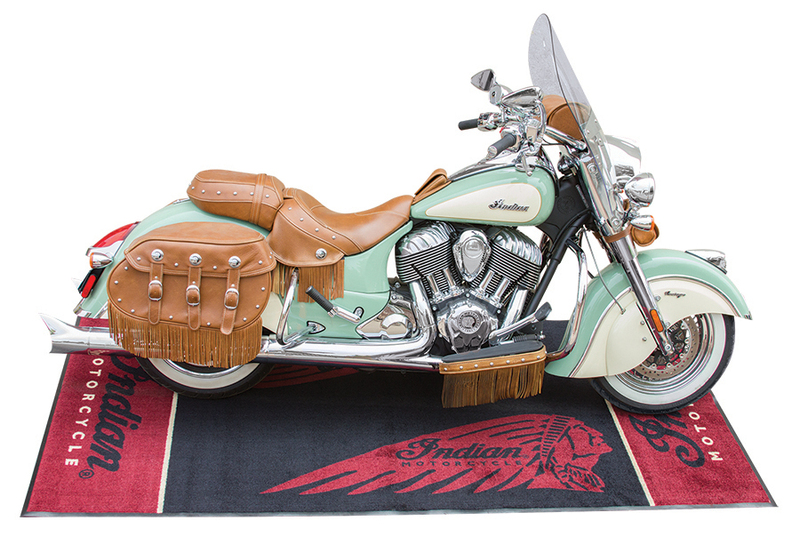 With this in mind and to mark the start of the bike-building season, Indian Motorcycle has released a new range of ‘Man Cave’ items to make your garage or living room a more pleasing place to be. 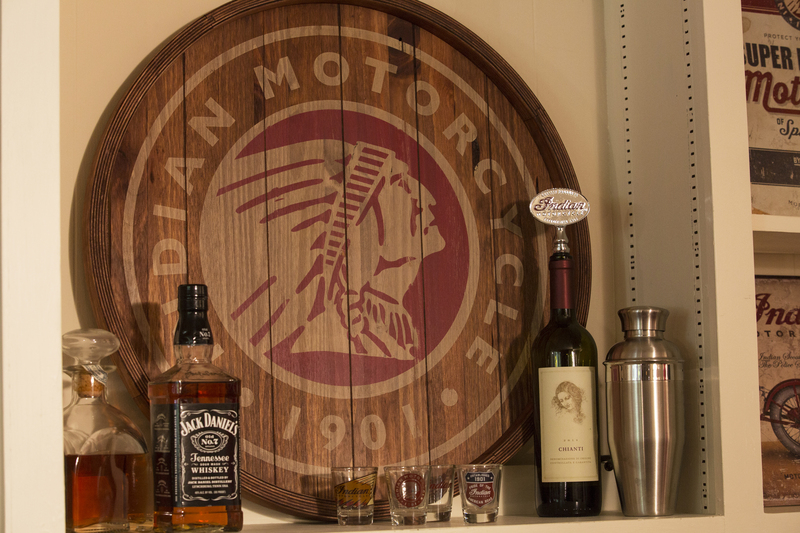 All of the following items are available to order from your local dealer. This large 83cm by 70cm sign is corrugated and has an antique brass print. It can be put up outside or indoors and is UV and rust resistant. 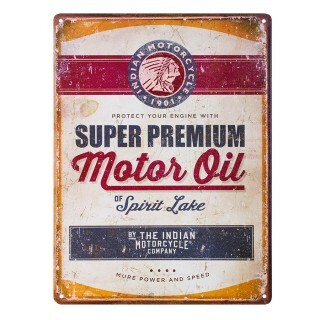 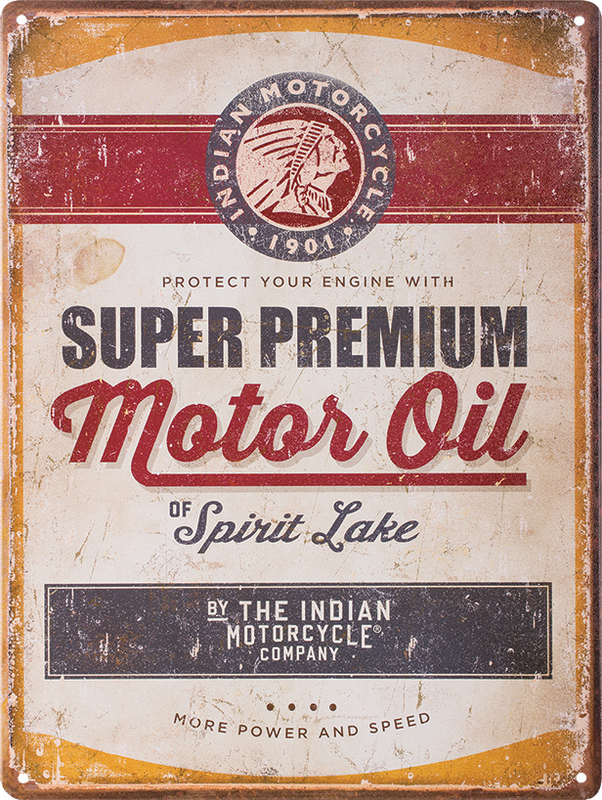 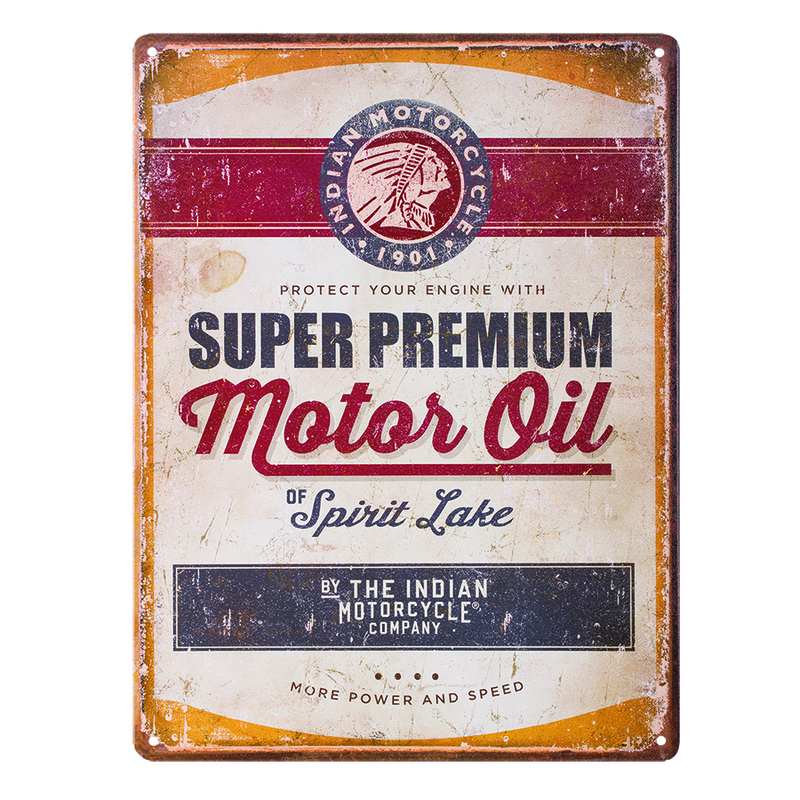 This old-school motor oil sign has four holes pre-filled in each corner to make it easy to fit up indoors or outside. 30cm wide by 40cm tall. 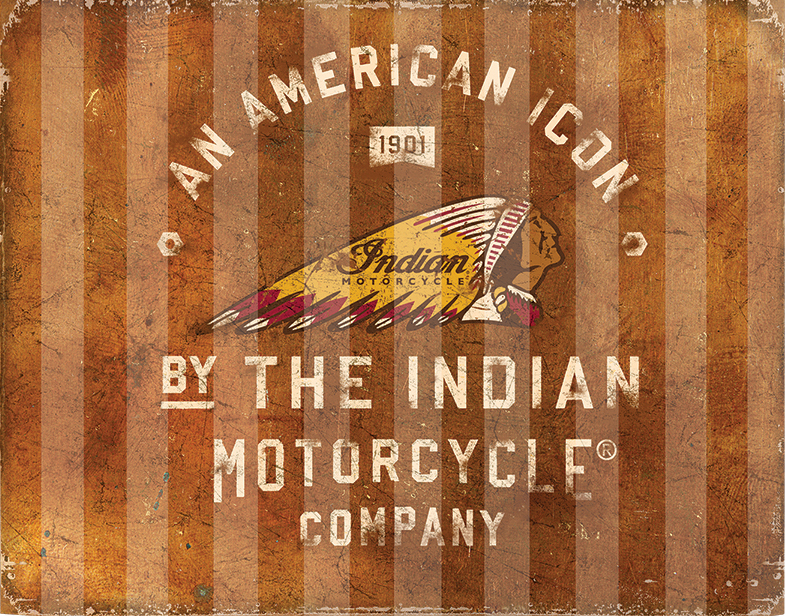 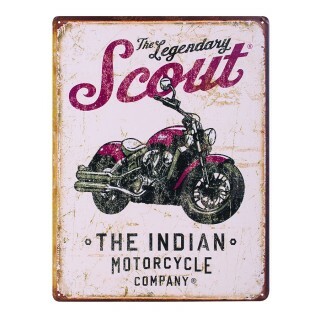 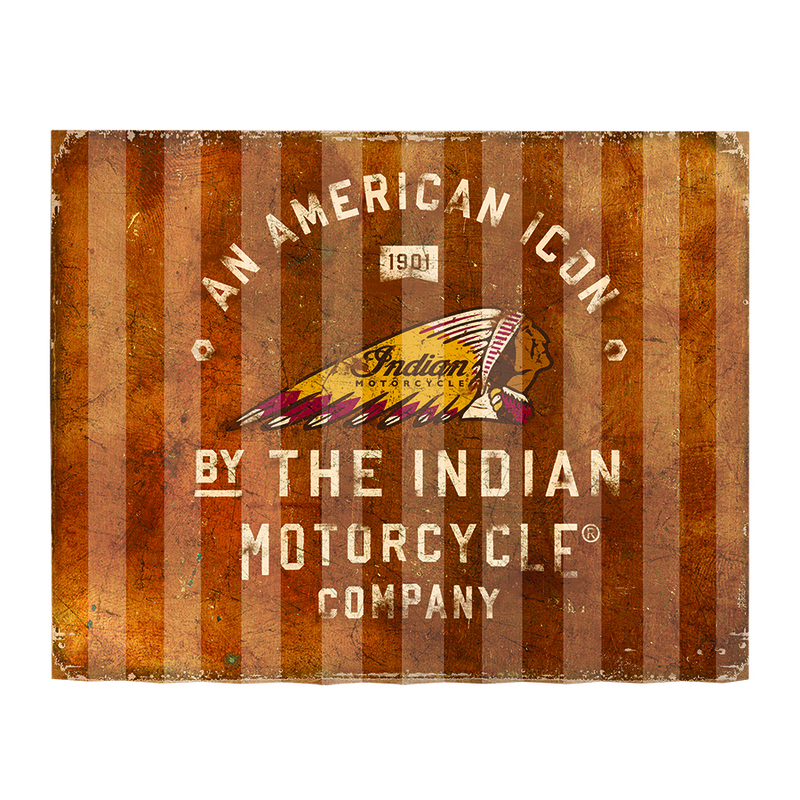 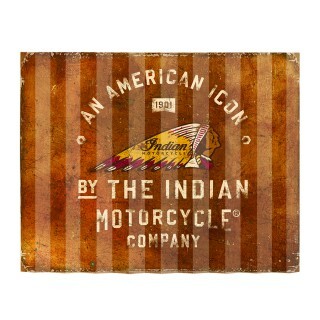 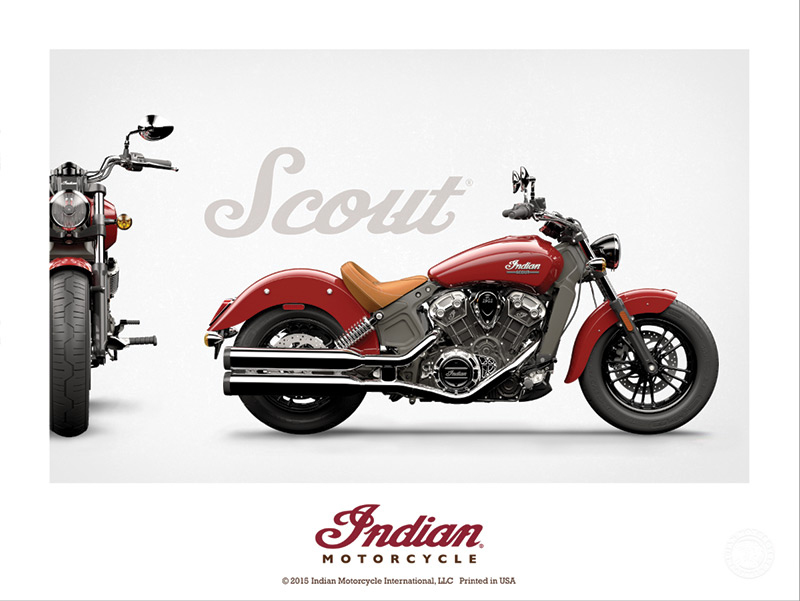 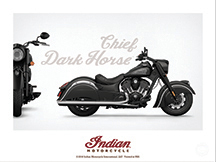 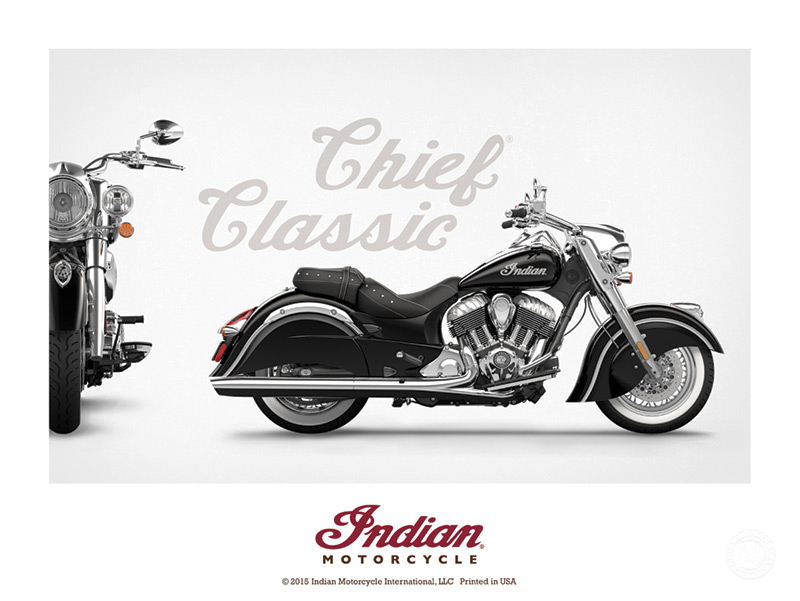 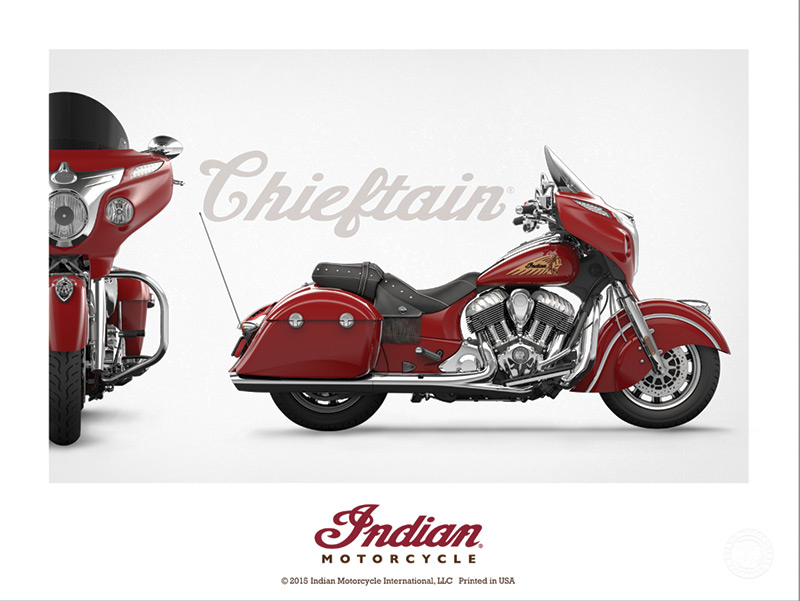 Shows the new Indian Scout but with old-school styling and fonts. 30cm wide by 40cm tall. 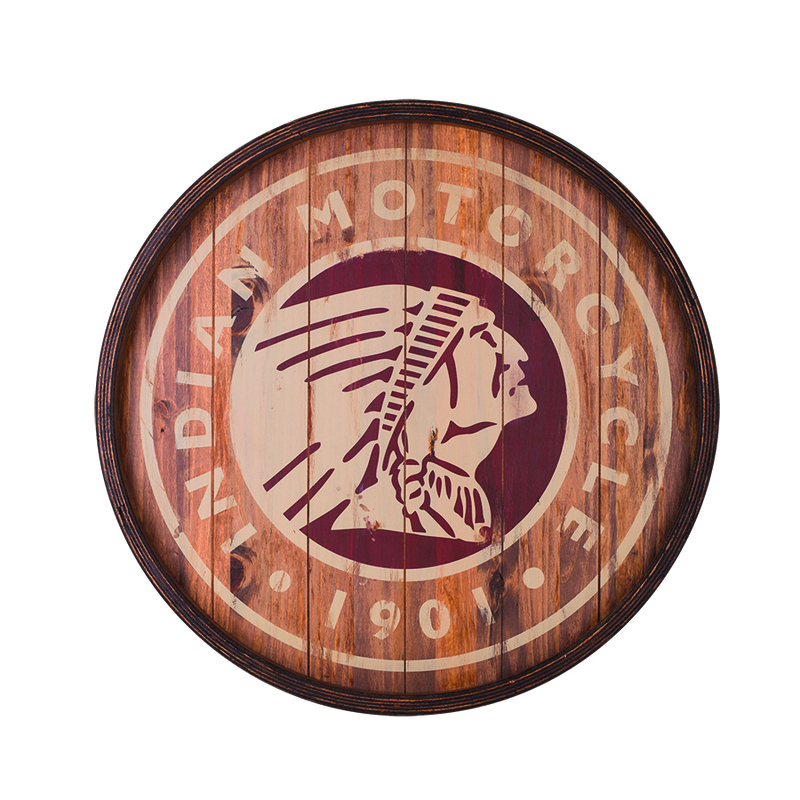 This large wooden circular sign is made from 100% pine and is ideal to fit in the garage or even a bar or cafe. 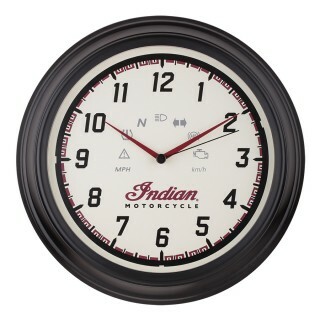 Diameter 60cm. Every owner’s garage, office or den would look great with one of these model posters. 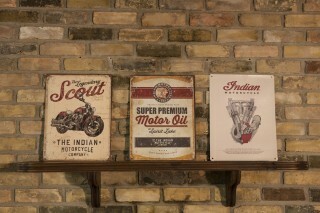 Each poster is printed on high-quality 290gsm paper and are 24″ wide by 18″ tall. 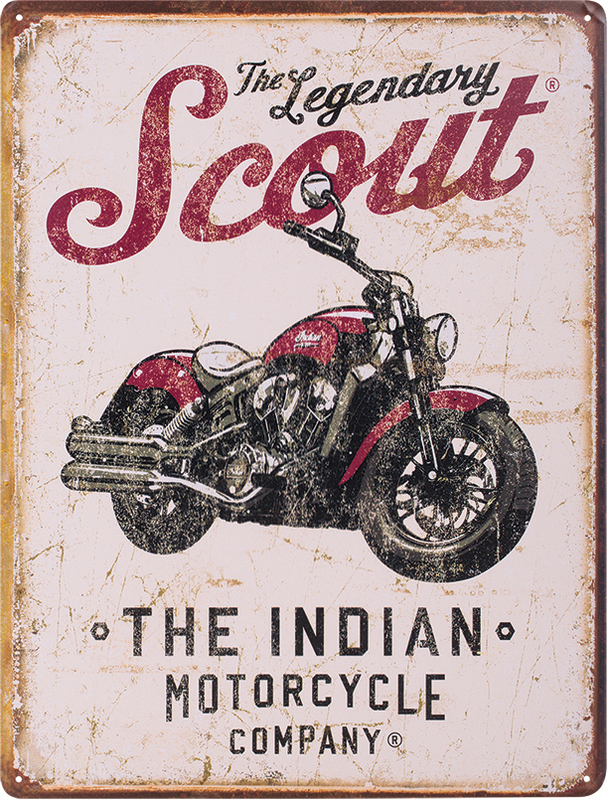 Each print comes securely rolled up in a tube and have been printed in the USA. 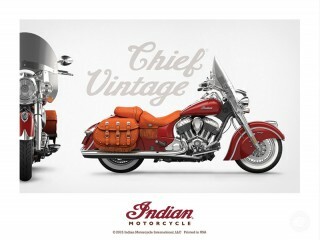 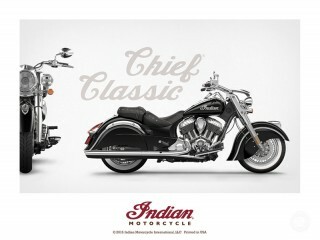 Bike models available so far are: Scout, Chief Dark Horse, Chief Classic, Chief Vintage, Chieftain and the Roadmaster. Part numbers 2863930, 2863985, 2863922, 2863923, 2863924, 2863931. 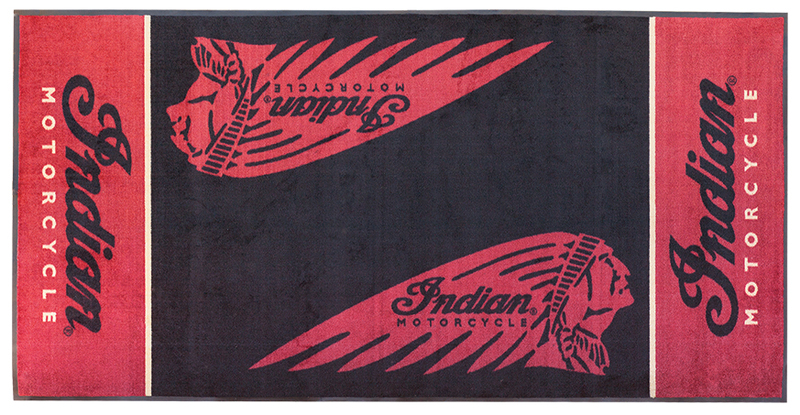 Park your pride and joy on this garage mat that is also thick enough to protect your knees while working or cleaning the bike. 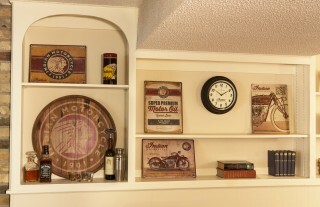 Parts and tools can also be placed down on a clean and soft surface. 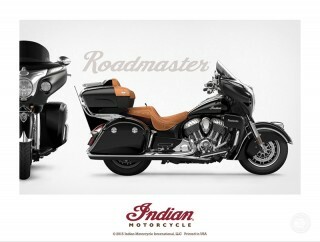 It’s large too – 264cm by 133cm.